When I posted my Firefox Mobile review for the N900 a couple months back many people prematurely left comments asking why it was better than Opera Mobile. Now that Opera Mobile for the N900 has been out for some time, it is even in the repositories now, I figured it was only fair to give Opera it's dues and give an overview of Opera on the Maemo platform. 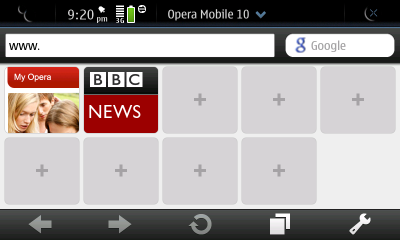 Opera Mobile is designed for the touch screen interface many devices have and it functions well on the N900. The home screen of Opera Mobile displays nine widget "speed dial" you can set to your favorite websites. Above these is the URL and Google search bar that you will be used to from most desktop web browsers. Across the bottom of the screen are your backwards, forwards, refresh, tabs, and settings button. When you are viewing a webpage Opera displays full screen, maximizing your viewable screen space. The only parts that are obscured are the lower right hand corner and the lower left hand corner portions of the screen. When it comes to overall usage Opera is much snappier than Firefox on the N900. It loads much quicker and uses far less system resources when multi-tasking. Another feature that sets Opera apart from other browsers on the N900 is it's excellent portrait browsing mode. Firefox Mobile does not support portrait mode at all and even though with PR 1.2 MicroB (the N900's default browser) supports portrait mode - it does not as of yet have an on screen keyboard when browsing as such (which makes entering text near impossible on MicroB one handed). Which brings me to my next point about Opera Mobile - the on screen keyboard. All I have to say is: it's fantastic. Seriously, I wish every application on the N900 could use Opera's on screen keyboard, it only takes up half the screen and using it feels much cleaner than the default Maemo on screen keyboard. While there are many good things about Opera Mobile, it is not all sun shine and roses. The primary thing that keeps Opera from being the only browser on my N900 is largely the fact that it feels very much like a mobile browser. The lack of flash support and it's inability to fully render more than a few webpages keeps Opera from providing the full blown browsing experience I am used to on my N900. 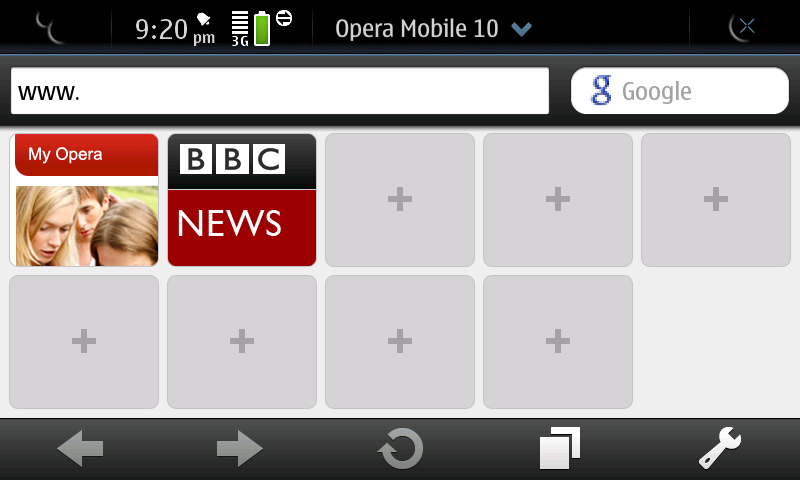 Anyone else been enjoying Opera 10 on their N900 and have some input on the browser? 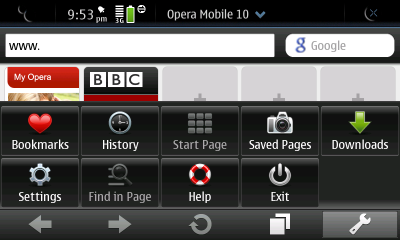 I actually prefer the opera mobile to the default browser on the N900 in many cases. lack of flash support is a feature in my book because even on my laptop I use flashblock and I also have the plugin installed on microB. I think I can do without flash on the smart phone. What I love the most about it is the speed and how responsive it is. the oncreen keyboard is also a killer. Excellent browser. Really zippy and responsive. Pity about the lack of flash which stops it being my default browser. Quirky on some pages like hotmail desktop when composing emails. Locking Down Linux: Is it Necessary?